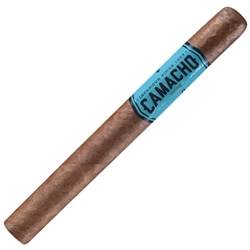 Every Camacho Ecuador Churchill Cigars offers a flavorful blend of Honduran and Dominican tobaccos making them very smooth with a hint of cedar and earth. Each of these Ecuador Robusto Cigars are wrapped with a zesty Ecuadorian Habano wrapper that's packed full of peppery and spicy flavors. Try them today here at Smokers Discounts!